Mark Miller’s The Heart of Leadership identifies five core leadership habits that enable a leader to attract and develop followers. Each habit challenges the leader to understand his or her purpose and to identify the most important character qualities in serving others. For young leaders this module is essential for developing an enduring perspective on what effective leadership looks like. For more seasoned leaders, it is a great opportunity to identify how your leadership approach can be expanded to meet your biggest challenges. In their bestselling book, The Secret, Mark Miller and Ken Blanchard explore five fundamental leadership skills built on a foundation of serving others. The SERVE leadership model is based on decades of application at one of America’s most highly regarded companies, Chick-fil-A. Participants will learn how leading with values allows you to achieve the desired results through meaningful relationships with your team members. Equally important, best practices for each skill area provide clear steps for implementation. 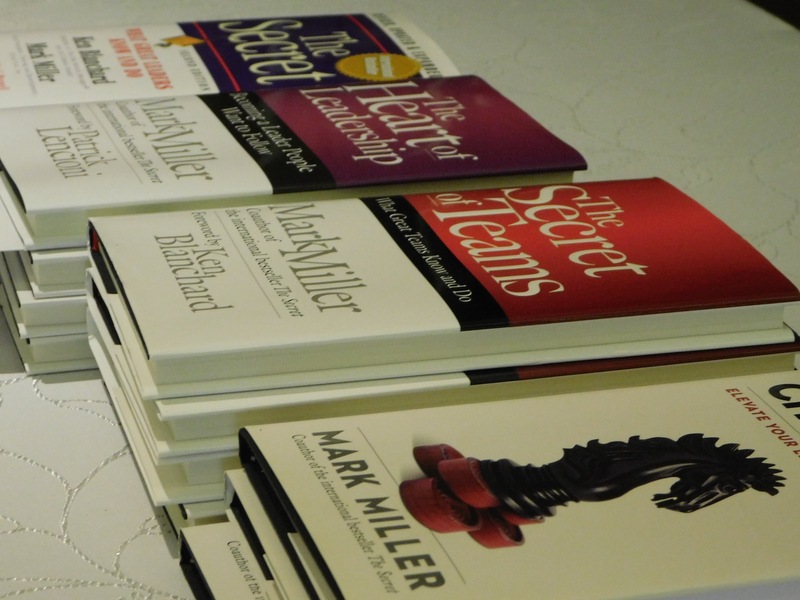 In The Secret of Teams, Mark Miller identifies what great teams know and do differently. High performance teams understand the importance of talent, skills, and community and how to focus those on results. This module allows leaders to thoroughly assess their team’s performance in each critical area and to develop a framework for moving their teams forward. Participants will be challenged to consider how different their leadership approach will look in a high performance team environment. Four essential strategies for organizational transformation are explored in Mark Miller’s Chess not Checkers. While organizations often start off with a fast moving, reactive approach (checkers), over the long term leaders have to develop and implement long term strategies (chess.) Participants will build on the solid leadership principles of the Leader’s Journey to develop organization wide strategies that create a culture of values based leadership. NextGen Leadership Skills – The workshops in this series expose your organization’s current and future leaders to today’s best practices in eight critical skill areas and encourage a discovery and development process involving themselves, their leadership style and the true challenges of leadership. This workshop explores the components of effective decision making. Participants will be provided an overview of classic decision making theory along with the exposure to iterative decision making and integrative thinking approaches. Participants will also be introduced to the DISC behavioral approach and thinking fallacies from Daniel Kahneman’s research to provide feedback on their own decision making tendencies to provide greater self-awareness of their strengths and weaknesses. Whether participants are looking to solve this week’s biggest problem, start their next company, or buy their first house, this seminar will provide the practical insights they need to make the right decision. Creative thinking, like every other management endeavor, requires the right amount of methodology and the right amount of inspiration. By examining the creative process from both an organizational and individual perspective, participants will explore how everyone can improve in this important discipline. Participants will discuss the challenge of developing teams and organizations that generate “effective surprise.” Throughout the workshop, participants will have the opportunity to learn and practice a range of individual and group creative thinking techniques to apply to their next project or decision. Negotiating and resolving conflicts are essential skills whether you are a foreign minister or a front line supervisor. This workshop explores the dynamics of conflicts and negotiation situations and presents the widely used approach presented in the management classic, Getting to Yes, by Roger Fisher. Participants will examine their own negotiating tendencies. They will apply principles of behavioral science to develop effective and persuasive arguments that can overcome common barriers erected by both sides in a negotiation. The workshop will examine negotiating strategies through case studies and presentations on different negotiating situations which require utilizing both individual and group negotiating best practices. Effective communication takes place through a variety of mediums and an almost infinite number of audiences. This workshop examines the communication process in many environments, including informal office dialogues and more formal presentations. The path from nervous novice hoping to avoid an embarrassing disaster to master presenter is not about tricks and shortcuts, but gaining a thorough understanding of the communication experience. This workshop highlights the process from the audience’s perspective and demonstrates how to integrate each element of effective communication to reach the presenter’s goal. Additionally, participants will examine the challenges of getting their message heard in an environment suffering from information overload. Participants will experience how their communication styles and preferences create problems, and how to solve those problems. They will also understand how broadening the range of their communication approaches will enhance effectiveness. 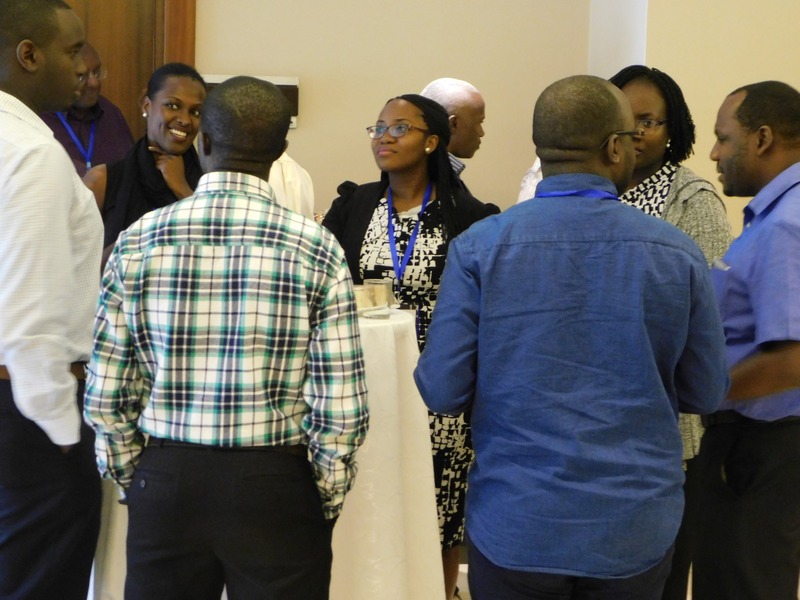 The participants will apply their understanding of communication principles and approaches to a variety of challenges including connecting one-on-one, one-to-many, and creating a collaborative environment. This workshop enables participants to examine and explore the barriers and drivers to effectively developing subordinates and peers through coaching and feedback. While the foundational coaching and feedback skills may appear basic, the challenges presented by the work and organizational environment require an intentional effort to consistently apply these skills. The workshop uses case studies and coaching exercises to help the participants experience the process in a controlled setting. Additionally, the workshop allows for a “leadership conversation” throughout the day, so key individual and organizational issues can surface, be examined, and then be incorporated into action plans. 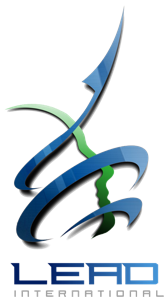 Finally, each participant will develop a coaching action plan and then receive and provide coaching to another participant concerning his or her action plan. Managing time is really about managing oneself. In this workshop, participants will apply a number of time management techniques to increase their productivity through understanding their purposes, personal time management preferences, habits, and environment. Participants will acquire the skills to prioritize tasks, identify immediate goals and needs, and manage information and time more effectively. This workshop emphasizes the integration of personal and career goals and objectives in time planning. Participants will learn how and when to delegate tasks to subordinates and colleagues and learn management strategies for overcoming environmental and organizational barriers. In a fast-paced, borderless world, success and survival requires seeing the big picture and digging into the details. Strategic thinking requires integrating both perspectives to produce solutions that are analytically sound and original. To compete successfully, individuals and organizations must develop the capacity to examine both their internal and external environments and make decisions that will position them for the long term. Participants will examine the best practices needed for organizations to transition into a true learning organization capable of making strategic decisions. This workshop also examines strategic innovation and provides cutting edge tools to help participants identify their next important opportunity and the critical issues required for successful implementation. This workshop explores both the individual and organizational challenges created by change. Participants will gain the foundational understanding needed to lead change, first through accurate self-understanding of personal attitudes and tendencies toward change, and secondly through understanding others’ strengths and weaknesses in a change process. Participants will examine their behavioral tendencies toward change through the DISC system, the adoption stages, and defense mechanisms. From these perspectives, participants will evaluate and discuss current changes. These workshops explore some of the key philosophies and practices that drive organizational growth and success. This workshop explores the core principles that have made Chick-fil-a one of the top-rated brands in the U.S. for customer satisfaction and brand loyalty. Participants will take a deep dive into their businesses around the concepts of operational excellence, second mile service, and emotional connections marketing. Through a facilitated process, participants will create a raving fans strategy for their businesses by identifying areas for operational improvements, expected second mile service behaviors, and unique marketing assets. Effective leadership approaches will also be presented to develop an organizational culture around customer service excellence. 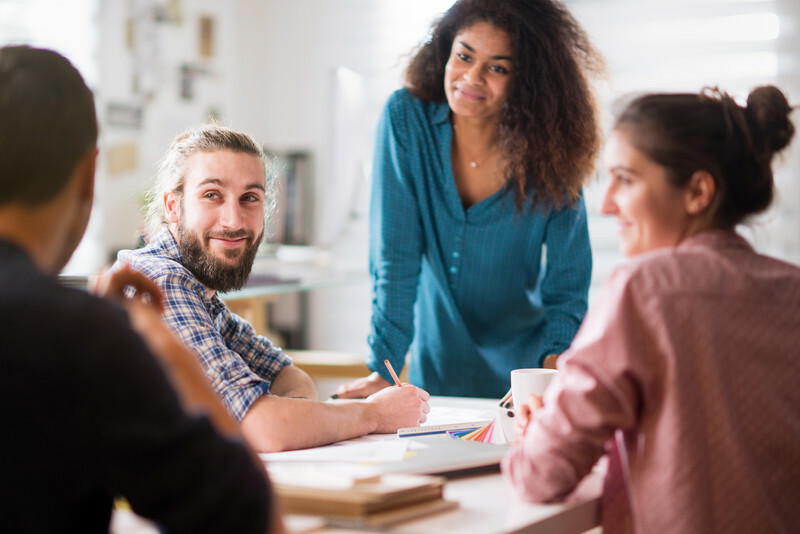 Creating and maintaining an organizational culture that builds community, attracts top talent and fuels high performance remains a top priority for organizational leaders. This workshop explores the insights from Dee Ann Turner’s book, It’s My Pleasure. Turner shares her insights as a long time executive with the organization and provides a useful framework for how Chick-fil-a’s leaders built their culture. Participants will learn processes and approaches to build and grow the right organizational cultural and how to engage staff and customers in the process. Specific areas of focus will include on boarding and orientation, engagement strategies, staff meetings, and workplace experiences. Design thinking and strategic innovation are now considered must have skills for entrepreneurs and organizational leaders to navigate today’s complex and fast moving marketplace. This workshop provides participants with a practical framework to understand and apply key concepts to solving their current need for competitive innovation. Participants will have hands on opportunities to practice design thinking and to analyze their businesses’ market position, life cycle, and organizational health.